Uncover the locations of over 300 Castles in England,Scotland, Wales and Northern Ireland. Whether easily accessed, or off the beaten track, you are rarely far from an historical site when in the United Kingdom. Amongst the most bountiful and impressive of historical sites are the castles that once dominated the landscape and were symbols of power, wealth and status. 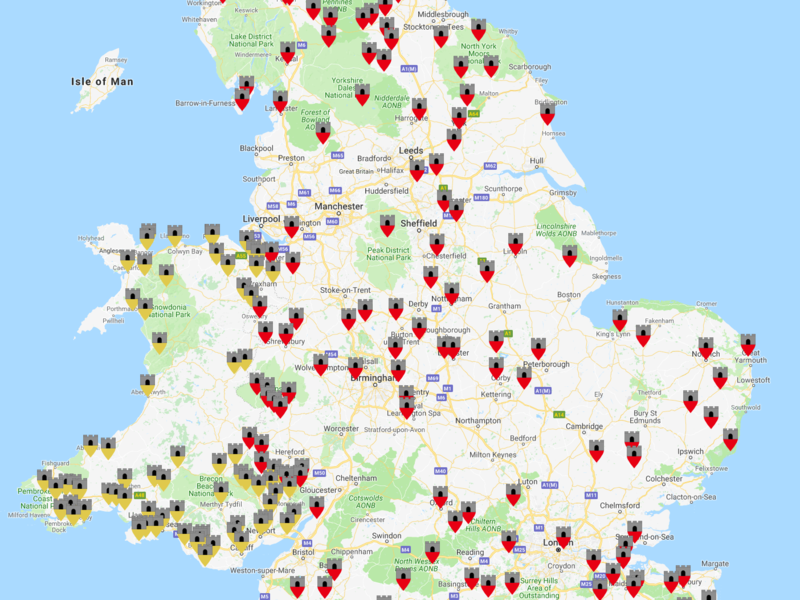 No matter if you are a seasoned castle explorer or are just interested in the subject, UK-Castles provides information on individual castles; the site can be utilised as a tool to help in planning visits or just for the pleasure of researching castles.